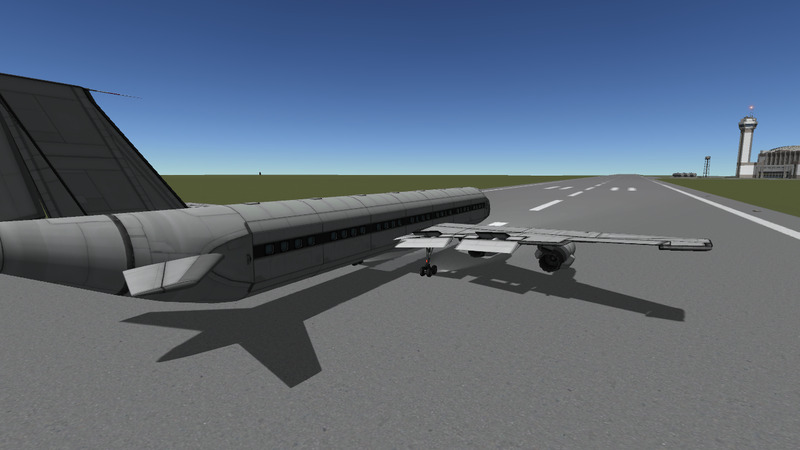 A shorter version of the B707, with less passenger capacity for more low-demand routes. The antenna on the tail will definitely break off during flight. The plane has no thrust reversers, so the plane will stop slower. 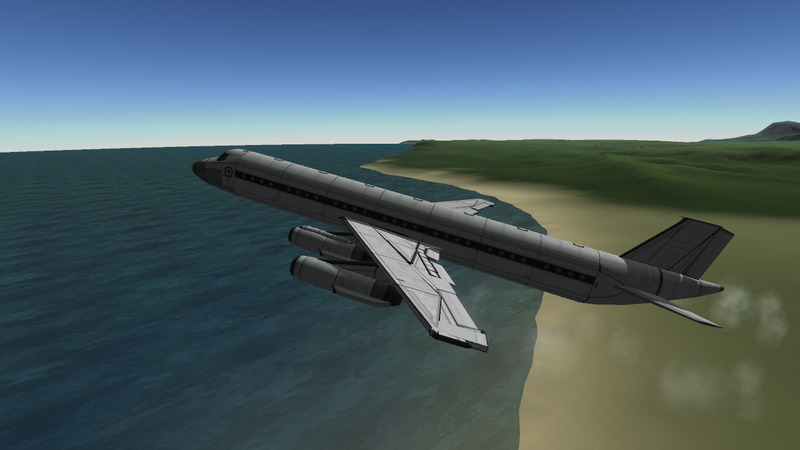 Despite that, it can land on the island runway. 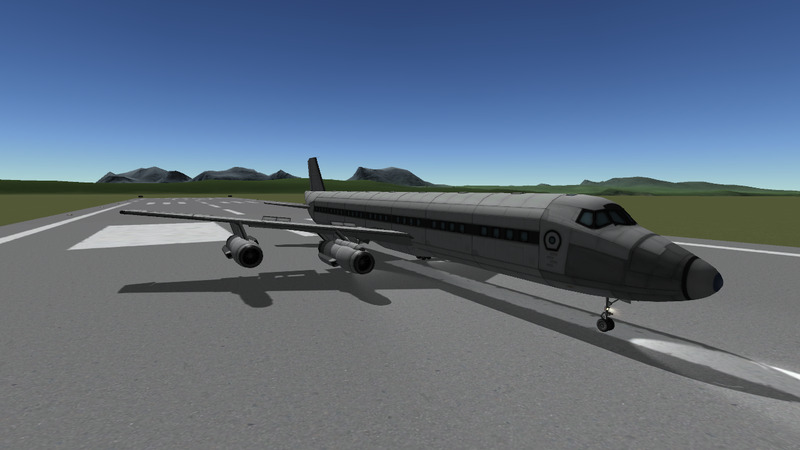 Very easy to fly, unlike my other planes, largely due to it’s small size. A stock aircraft called Boeing 720B. Built with 132 of the finest parts, its root part is mk3Cockpit.Shuttle.